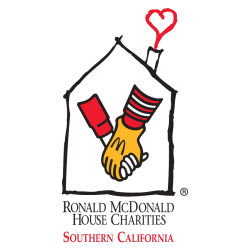 For more than 35 years, Ronald McDonald House Charities® of Southern California (RMHCSC) has been dedicated to improving the health and well-being of children and families across Inyo, Kern, Los Angeles, Orange, Riverside, San Bernardino, San Luis Obispo, Santa Barbara and Ventura counties. RMHCSC helps families with critically-ill children stay together, connecting them with others facing similar challenges through its six Ronald McDonald Houses® in Bakersfield, Loma Linda, Long Beach, Los Angeles, Orange and Pasadena and two Ronald McDonald Family Rooms®. One of the few chapters to operate a cost-free, medically supervised Camp Ronald McDonald For Good Times®, RMHCSC helps children with cancer and their siblings rediscover childhood and develop the self-esteem and self-efficacy often lost as a result of the disease. The organization also provides funding through its Community Grants Board to deserving non-profits that improve the lives of children and funds four college scholarship programs that help exemplary high school students pursue the education of their dreams. More information about RMHCSC and its programs can be found at www.rmhcsc.org or on www.Facebook.com/RMHCSoCal and @RMHC_SoCal.